With almost 900,000 hits since I uploaded it on 12 June 2012, by far the most popular of all of my 300+ ShukerNature posts is my exposure of three online black lion photographs as computer-modified fakes (click here). 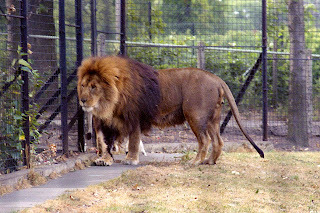 In that same post, I also included some information concerning various alleged sightings in the wild of genuine black lions, plus a very interesting lion cub called Ranger, born at Glasgow (formerly Calderpark) Zoo in Scotland during 1975. What made Ranger so interesting is that he possessed a black chest and a large patch of black pigment on one leg, possibly the result of a rare pigmentation phenomenon known as mozaicism. 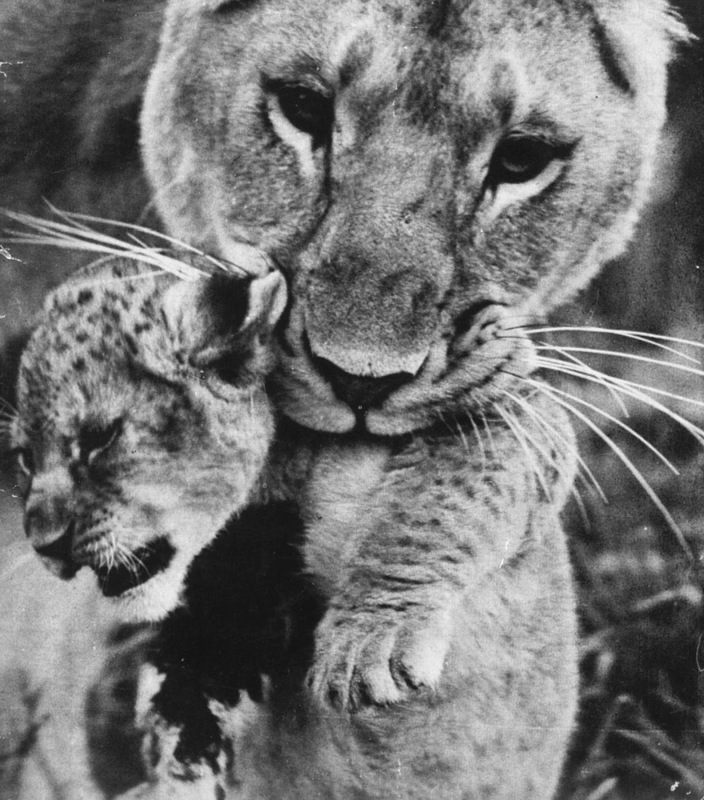 I learnt from the zoo's then director, the late Richard O'Grady, that in an attempt to create an entirely black lion, Ranger was mated with his mother, Kara, on several occasions when he reached adulthood, and also with other lionesses, but no offspring ever resulted. Consequently, it was suspected that Ranger was sterile, though he was in excellent overall health and lived to the ripe old age of 22. 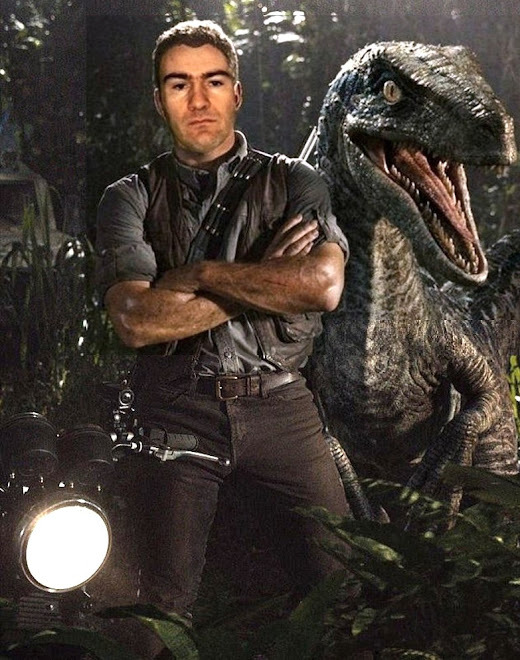 Until very recently, the only photo of Ranger that I had ever seen was the above b/w photograph, which was kindly supplied to me by Richard O'Grady back in the late 1980s for use in my writings. It depicts Ranger as a cub held by Kara, and clearly reveals his black chest and the large patch of black pigment on his right foreleg. On 28 March 2013, however, I received a short email from Mr Peter Adamson of St Andrews, Scotland, who, to my great excitement, not only mentioned that on 28 July 1984 he had seen Ranger as an adult lion at Glasgow Zoo but also attached with his email a colour photograph that he had snapped of him there, showing Ranger to have matured into a very impressive individual with a handsome black-tipped mane. Reproduced here by kind permission of Peter, it clearly displays the patch of black pigment on Ranger's right foreleg, and, as pointed out by Peter in his email to me, it also reveals that he possessed another large, though slightly paler patch of black pigment on the rear upper portion of his left hind leg, which I hadn't previously known about, and which provides further support for the prospect that Ranger was exhibiting mozaicism. My grateful thanks once again to Peter Adamson for bringing to my attention his extremely interesting yet hitherto-unpublished colour photograph of the adult Ranger, and for very generously allowing me to document it publicly for the first time - yet another ShukerNature exclusive! 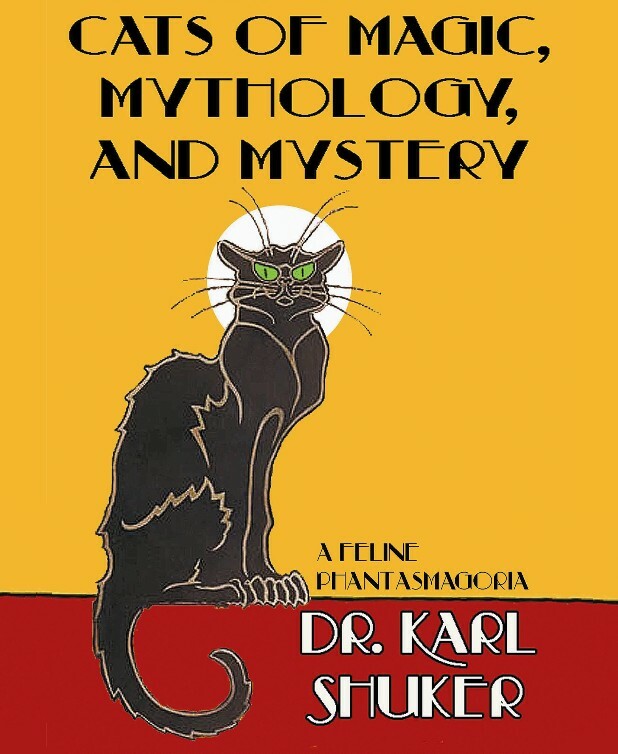 For more information concerning black lions and other melanistic mystery cats, check out my latest book, Cats of Magic, Mythology, and Mystery: A Feline Phantasmagoria (CFZ Press: Bideford, 2012). I wonder. A trait among lions like being black would not be very useful unless you were nocturnal. 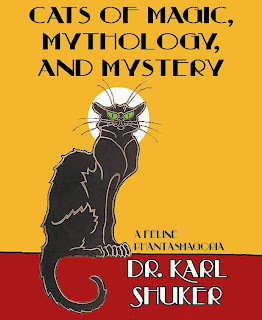 I recall hearing about a place in Asia where the only leopards are actually black panthers. Maybe there is a similar region, a "Dark Africa", where a population of nocturnal lions are mostly black because it helps them hunt at night? 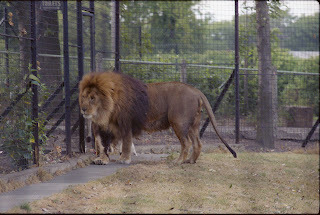 Karl, I have many pictures/slides of Ranger as well as the rest of our animals from the zoo. Please feel free to email me and I shall gladly post some on. 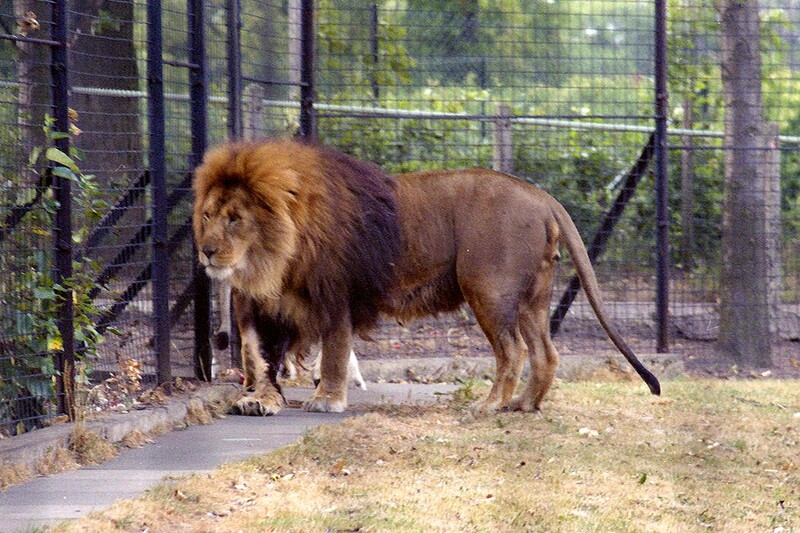 Do you recall a study (years ago) where researchers set out two male lion (dummies? models?) to see how the lionesses in the area responded. One model had a considerably darker mane than the other, and it seemed that the lionesses checked it out more often than the male with the paler mane. Gentlemen may prefer blondes, as the marketing goes, but in this study, it seemed that lionesses do not. Ranger was a beautiful cat - Thanks for sharing. 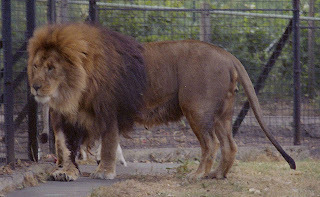 On Wikipedia's 'Asiatic Lion' page, there's a photo of a lion (in England's Chester Zoo) which has a heck of a lot of solid-black mane. 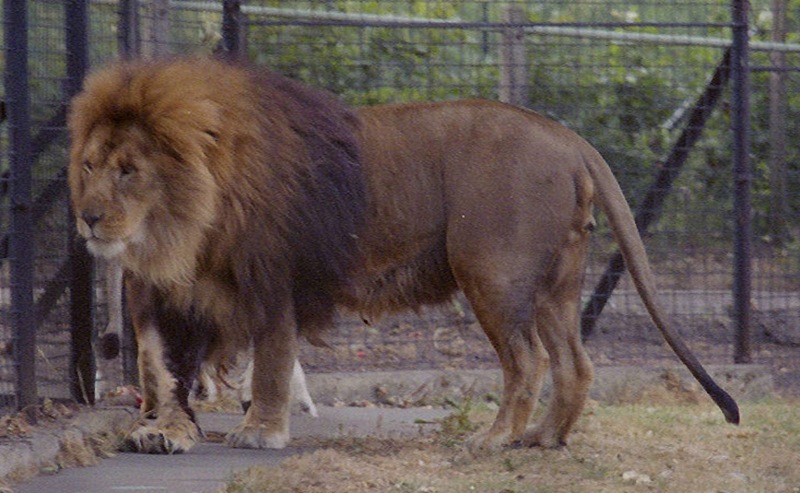 As Asiatic lions live in more-forested areas than African lions, it makes sense that they'd have a stronger tendency towards dark coloration. A KINTAIL KAPYBARA?? - I DON'T THINK SO! !